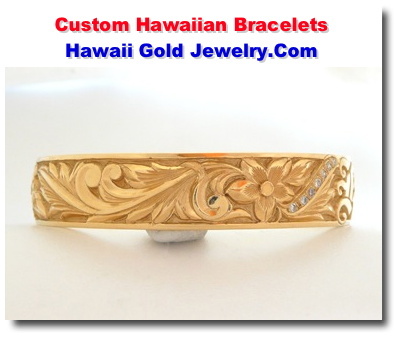 Hawaii Gold Jewelry .Com is proud to offer high quality 14K solid gold custom Hawaiian Gold Jewelry bracelets. We consider very special orders that require very special personal service. Please call 808-739-9797 or fill form below to coordinate quote/order.